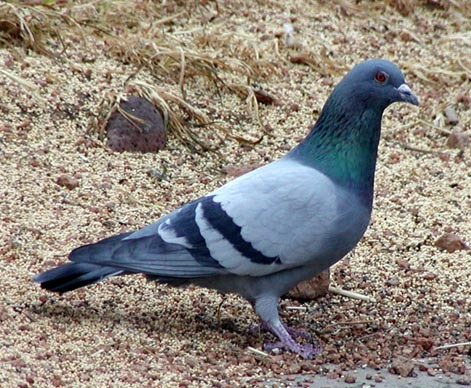 Common pigeons will come in to eat seed spilled out on the ground from the feeders. Most commercial wild bird seed has a lot of milo and millet in it that many of the feeder birds do not eat. Instead they pick through it to get at the black oil sunflower seeds in the mix. To attract a greater variety of species and to reduce waste, use black oil sunflower seeds in your feeder. 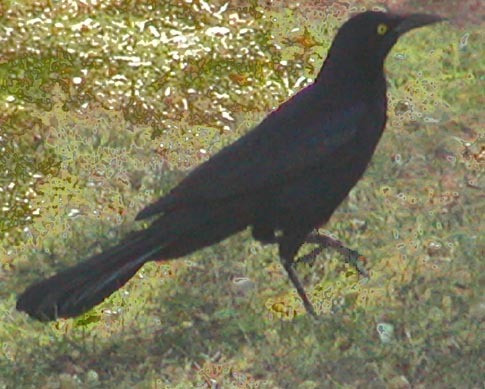 These Great Tailed Grackles are quite noisy and can sometimes sound like a baby screaming. 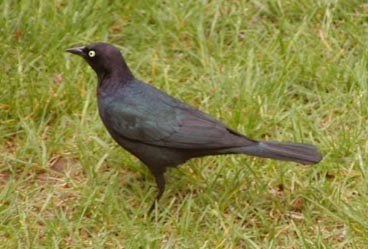 Although similar in appearance to the Great Tailed Grackle at left , the Brewer's Blackbird is much smaller, has a sort of watery sounding call and has a much shorter tail. 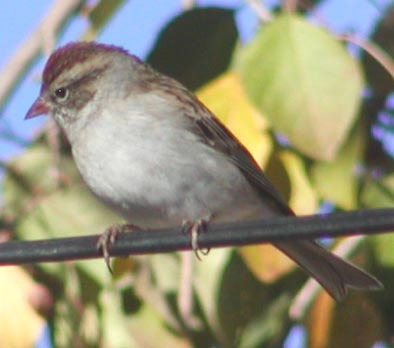 Chipping sparrows move through the area in small flocks both spring and fall. They like the leaf litter where they can scratch for leftover tidbits from the feeders.